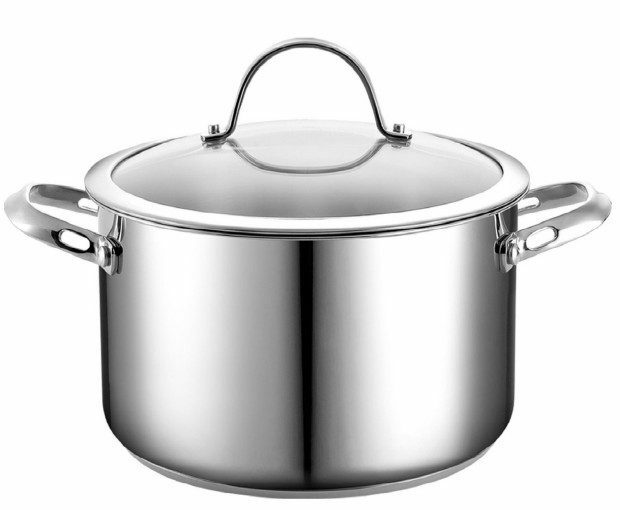 Stainless Steel 6 Quart Covered Stockpot Only $22.99! You are here: Home / Great Deals / Amazon Deals / Stainless Steel 6 Quart Covered Stockpot Only $22.99! Head over to Amazon to get their lowest price on this Stainless Steel 6 Quart Covered Stockpot – Just $22.99! FREE Shipping on orders of $35+ or FREE 2-day (no minimum) shipping with Amazon Prime. Designed to be used on an induction cook top with a steel disc affixed to the bottom; the pot can be used on all cooking surfaces!